1) or Waynewright, and Waynwright – (Dudley, co. Worcester). Ar. on a chev. betw. three fleurs-de-lis az. a lion ramp. of the field, a border engr. sa. Crest—A lion ramp. ar. holding an ancient battle axe, handle of the first, headed or. 2) (confirmed by Bysshe, Garter, 1647). Ar. On a chev. az. betw. three hurts a lion ramp. enclosed by two fleurs-de-lis of the first. Same Crest. 3) Ar. on a chev. az. a lion ramp. betw. two fleurs de-lis of the field, a border engr. sa. 4) Ar. on a chev. betw. three fleurs-de-lis az. a lion ramp. of the first, a border engr. sa. 5) Charles Bolton’s American Armory (1927) contains one entry for this surname: Gules on a chevron argent a lion rampant bet 2 fleurs-de-lis of the field all within a bordure engrailed sable in chief a crescent. 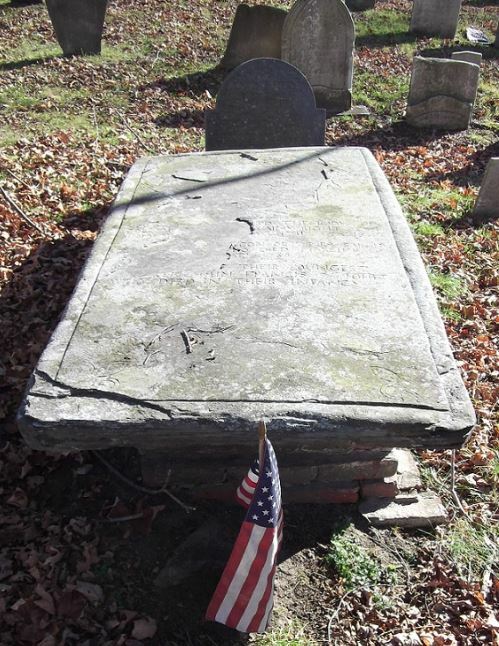 Tomb of Col. Francis Wainwright who d. 1711. Ipswich, Mass. Burying Ground. Also on deed of Stephen Minor, 1728. Heral. Jour., vol. 1, pp. 89, 110. 6) Crozier’s General Armory (1904) contains one entry for this name: Francis Wainwright of Ipswich, Massachusetts. Gules on a chevron argent, between two fleurs-de-lis of the field, a lion rampant within a bordure engrailed sable. Crest: A lion rampant argent, holding an ancient axe, handle of the first, headed or. This last name is an occupational name meaning “the wainwright” a maker of wagons or a cartwright, which was an important profession/job during medieval times and the Middle Ages. It derives from the Anglo-Saxon word wæn. The word wain is an obsolete terms for a wagon. In county Sussex, England, a shed in which wagons were made or kept, was called a wain-house or wen-hus, and in some parts of the country, a wagoner was called a wain-men, from which we get the surname Wenman. Hence the name has a similar origin story as Cartwright and Wheelwright. In Old English, the term waegnwyrhta meant a maker of carts of wagons. The suffix wright means “maker of”. One author asserts the family was first found in county Worcestershire, England were they were Lords of the Manor Dudlei since ancient times and they were related to the Norman Baron William Fitz-Ansculf who built a castle in Dudley. Common spelling variants or names with similar etymologies include Waynewright, Waynwright, Wainright, Winwright, Wainewright, Wenwright, Waneright, Weinwright, and Waynewrite. The last name Wainwright ranks 4,748th in popularity in terms in the United Status as of the 2000 Census. The name ranks particularly high in the following five states: Maryland, Louisiana, Georgia, North Carolina, and Alabama. The surname Wainwright frequency/commonness ranks as follows in the British Isles: England (823rd), Scotland (2,391st), Wales (681st), Ireland (4,308th) and Northern Ireland (2,305th). In England, it ranks highest in Yorkshire and Shropshire. In Scotland, it ranks highest in Roxburhshire. In Wales, it ranks highest in Flintshire. In Ireland, it ranks highest in Meath. The name is also present throughout the remainder English speaking world: Canada (4,450th), New Zealand (4,250th), Australia (2,325th), and South Africa (2,594th). The earliest known bearer of this surname was Ailmar Wanwretche who was documented in Essex, England in the Ailmar Wanwrecte in the Documents of Hornschurch Priory in 1237 AD. Adam le Waynwrith was documented in Yorksire in the Court Rolls of the Manor of Wakefield in 1285 AD. Alan le Waynwright is listed in the Subsidy Rolls of Lancashire in 1332 AD. The Register of the University of Oxford lists one Edward Waynwright in 1568. Early baptisms include Annes, daughter of Thomas Wenwright at St. Peter Cornhil in 1577 and Hanna, daughter of John Waneright at St. James Clerkenwell in London in 1678. The progenitor of the modern family appears to be Francis Wainwright, who was born in Chelmsford, Essex in around 1616. He married Phillippa Sewell and had three issue with her: Sarah (Perkins), Simon, and Elizabeth (Cogswell). He went to Massachusetts where he died in 1692. 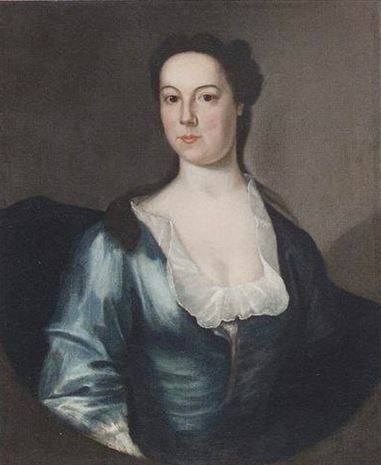 His son Simon was born in Ipswich, MA in 1660 and he married Sarah Gilbert, with whom he had the following issue: Sarah (Frost) and Joh Wainwright. His son John was born in Haverhilla, MA in 1690 and he married Hannah Redford, with whom he had two daughters: Anna Redford and Hannah. John was a graduate of Harvard University and he died aboard a Rhode Island Sloop in 1721. 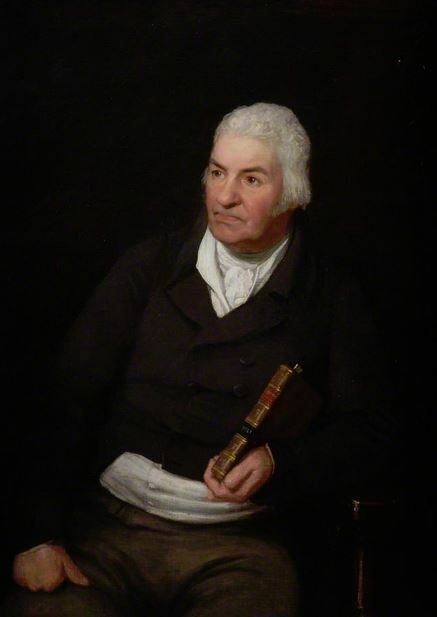 Peter Wainwright was born in Liverpool, Lancashire in 1759. He was a prosperous merchant involved with tobacco who went to Boston and returned to England. He married Elizabeth Mayhew and had had three issue with her: Peter, Jonathan, and Elizabeth (Channing). 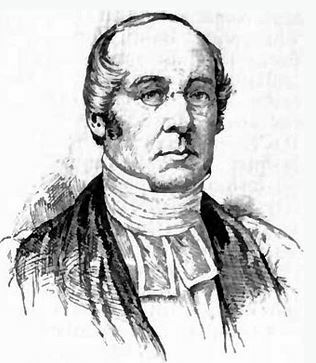 His son Bishop Jonathan Mayhew Wainwright was born in Liverpool in 1792. He went to the United States where he married Amelia Phelps in 1818 in Hartford, Rhode Island. They had three children together: Elizabeth, Jonathan II, and John Howard. His son Jonathan Mayhew II was born in New York City in 1821 and he married Maria Page in Virginia. He had three issue: Elizabeth (Burwel), Jonathan, and Robert. His son Robert Powell Page Wainright was born in Philadelphia in 1852 and married Josephoine Eva Serrell. Prior to his 1902 death in the Phillippines (was he a solider in the Spanish-American War?) he had one son named Jonathan IV. This son’s full name was General Johnathan Mayhew “Skinny” Wainwright IV who was born in Walla Walla, Washington in 1883 and died in 1963 in San Antonio, Texas. Richard Waynewrite, age 24, came to Virginia aboard the Thomas & John in June 1635. Early settlers in colonial America bearing this name include Francis Wainwright (Massachusetts 1648), Thomas Wainwright (Dorchester 1659), Josias Wainwright (Maryland 1673), Francis Wainwright (Boston 1712), and John Wainwright (Savannah 1775). The name was also present in the Caribbean in the seventeenth centuries. James Wainwright came aboard the Happy Returne in 1679 to the Barbados. John Wainwright Sr. was on the Governing & Council Assembly of The Sommer Islands (Bermuda) in August of 1673. In Australia, one of the earliest bearers of this last name was William Wainwright, a watchmaker, who came in 1838 aboard the Lloyds who arrived in the city of Adeleide, along with his two years old daughter Lauara. In New Zealand, several bearers of the Wainwright surname came to Nelson aboard the Prince of Wales in 1842: Edward, Hannah, William, and James. Charles Bolton’s American Armory (1927) contains one entry for this surname: Gules on a chevron argent a lion rampant bet 2 fleurs-de-lis of the field all within a bordure engrailed sable in chief a crescent. Tomb of Col. Francis Wainwright who d. 1711. Ipswich, Mass. Burying Ground. Also on deed of Stephen Minor, 1728. Heral. Jour., vol. 1, pp. 89, 110. Crozier’s General Armory (1904) contains one entry for this name: Francis Wainwright of Ipswich, Massachusetts. Gules on a chevron argent, between two fleurs-de-lis of the field, a lion rampant within a bordure engrailed sable. Crest: A lion rampant argent, holding an ancient axe, handle of the first, headed or. Matthew’s American Armoury (1907) and Bluebook does not contain an entry for this name. The Wainwright family motto is Spes mea in Deo, meaning “My hope is in God”. There are hundreds of notable people with the Wainwright surname. This page will mention a handful. Famous people with this last name include: 1) Charles Shiels Wainwright (1826-1907) who was a farmer from New York who became an artillery officer for the Union Army during the American Civil War and played an important role in the defense of Cemetery Hill during the Battle of Gettysburg, 2) Loudon Snowden Wainwright III (1936) who is an American folk singer and songwriter from Chapel Hill, North Carolina who released 26 albums, 3) Rufus McGarrigle Wainwright (1973) who is an American-Canadian singer, songwriter, and composer, 4) Jonathan Mayhew Wainright II (1821-1863) who was an officer for the Navy during the American Civil War from New York City who was killed during the Battle of Galveston in Texas, 5) Richard Wainwright (1817-1862) who was a commander and officer in the United States Navy during the Civil War from Charlestown, Massachusetts, 6) Richard Scurrah Wainwright (1918-2003) who was a liberal Member of Parliament for Colne Velly, West Yorkshire, in the 1960s, 70s, and 80s, 7) William L. Wainwright who is a Democratic member of the North Carolina General Assembly who was born in Somerville, Tennessee, and 8) Martha Wainwright (1976) who is an American/Canadian fold rock singer born in Montreal, Quebec, who was daughter of Loudon III. The three most prominent symobls in the Wainwright Coat of Arms (erroneously Wainwright Family Crest) are the lion rampant, fleur-de-lis, and chevron.